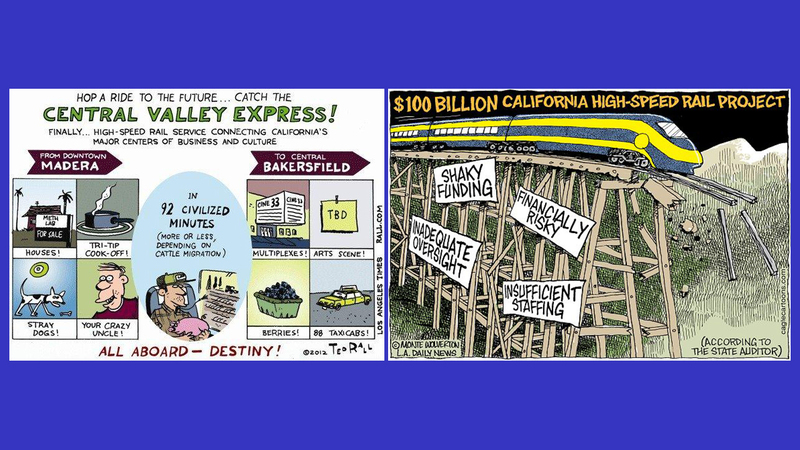 By now, everybody in the rail management and advocacy communities, along with much of the general public, knows what happened to California’s high-speed rail (HSR) project. It’s dead. In his State of the State address, Governor Gavin Newsom scaled it down. Seven days later, the Federal Railroad Administration (FRA) finished the job with a letter from Administrator Ron Batory to Newsom and California High-Speed Rail Authority (CHSRA) CEO Brian P. Kelly. The FRA is terminating its cooperative agreement with CHSRA because the agency “will not complete the project by 2022,” the performance deadline. Newsom’s new proposal “represents a significant retreat from the State’s initial vision,” which included running the high-speed line beyond the Central Valley to Los Angeles and San Francisco, and that the FRA intends to “de-obligate” nearly $1 billion that had previously been obligated under the now-revoked agreement. The FRA wasted no time, but is difficult to fathom how knowledgeable people could have been surprised by the ultimate result. Popular media like National Public Radio have reported the story by now, and whatever political fallout may occur from the demise of the project is just beginning. Still, the financial handwriting has been on the wall for a long time. 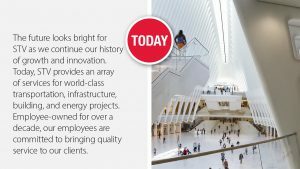 The cost of the project has more than doubled, from initial projections of $32 billion to $70 billion. There was a scathing report from the California State Auditor, reported by Jeff Davis of the Eno Transportation Center last November 12 on Eno’s website, www.enotrans.org. Davis also commented here in Railway Age and on the Eno website (“California HSR: Seven Deadly Mistakes,” published Feb. 13) on seven “worst practices” that dogged the project and ultimately rendered it unaffordable. While Davis’s comments make a great deal of sense, there are other reasons why HSR will not be built in this country, let alone in California, in the foreseeable future. In short, true HSR costs more than Americans are willing to pay, the few current proposals do not make good transportation sense, and the nation does not have the supporting transit structure and service to justify HSR at this time. A decade ago, “High-Speed Rail” was a buzzword in the new Obama Administration. 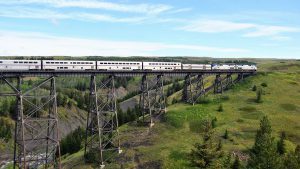 Congress created the High-Speed Intercity Passenger Rail (HSIPR) program and offered grants to states to build new rail corridors or upgrade existing ones. Republican governors in Wisconsin, Ohio and Florida rejected those grants, a move that critics attribute to ideological grounds or the influence of the Koch Brothers, which may be a distinction without an operative difference. Only one or two of those projects could have qualified as true HSR, anyway. Only the California HSR project could have made a colorable claim of being fast enough to meet the speed standard, and now that project is dead, too. Transportation visionary Rod Diridon, after whom the train station in San José is named, promoted California’s project vigorously, not only in California, but across the nation. Diridon envisioned a true HSR line stretching between Sacramento and San Francisco on one end and San Diego on the other, through Los Angeles. Travel time would be faster than air travel, and fares would be relatively low. His vision had a certain appeal, and even though this writer and others were skeptical, then-Governor Jerry Brown was not. He promoted the project and spent political capital to keep the dream alive. His administration committed the Seven Deadly Mistakes that Jeff Davis detailed, and the project succumbed to those sins, whether Gov. Newsom intended to acknowledge that or not. Improvements during the Obama era were few and far-between. Illinois upgraded the corridor between Chicago and St. Louis, while “new-starts” mileage on Amtrak was confined to Portland to Brunswick, Me., on the Downeaster and to Petersburg to Norfolk, Va.; slightly south of the existing Newport News service. Politicians and promoters are reluctant to admit it, but true HSR is expensive. It is not compatible with conventional rail operations, and it requires its own right-of-way, with very slight grades and gentle curves. High-speed trains can run on conventional railroads for part of their trips, as they do in Europe. There were plans to use the Caltrain right-of-way between San Francisco and San José for a portion of the HSR trip, but using a conventional rail line increases travel time, which runs against the core benefit of a high-speed train. The California experience teaches us how expensive true HSR really is, and Davis has revealed many of the reasons why it is so costly. It is difficult to fathom how the U.S., with its current attitudes and policies toward transportation, could convince itself to make the required investment. It is difficult to see how the private sector would invest in new rail lines, because investors would need to make a return on their investments, and new rail lines would have to compete with heavily subsidized airline travel and even-more-heavily subsidized automobile use on the highways, most of which are available to motorists without paying a user fee. It is equally difficult to see how the public sector would invest that amount of money, either, especially with tax cuts straining budgets at every level of government. The federal and state governments invested heavily in airline infrastructure and interstate highways beginning in the 1950s. Those investments succeeded in destroying the passenger trains that the private-sector railroads operated, and now the federal user fee on motor-vehicle fuels is so low that it does not cover the cost of maintaining the toll-free interstate highways. 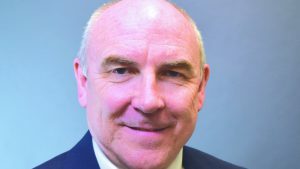 With the current emphasis on cutting taxes, rather than investing in public infrastructure that the private sector will not support, it is very difficult to believe that any true HSR lines will be built in this country in the foreseeable future. It appears to this writer that the fatal mistake that ultimately killed the California project was the decision to delay building the portion of the line between Bakersfield and Los Angeles. It would have been expensive to build that segment, because the terrain is mountainous, and it is expensive to build the trestles and tunnels required to deliver the slight curves and gentle grades that HSR operation requires. Instead, project planners chose to build in the Central Valley, which was less expensive, but still too expensive. Ironically, it is not even clear that an HSR line to Bakersfield (or a more northerly terminal like Merced or Fresno) would have improved the transportation picture in the region. It certainly would not have delivered sufficient marginal improvement to justify the cost. The region already has passenger trains on the San Joaquin corridor between Bakersfield and the Bay Area (five daily trains in each direction) and Sacramento (two daily trains in each direction). Under the current service or with the “HSR” segment in the Central Valley, every rider bound for Los Angeles or points south would still have been forced to take a bus to Los Angeles, with the bus ride and transfer time requiring about three hours for the segment from Bakersfield. That is not “high-speed” by any stretch of the imagination. Today it takes 8 to 8½ hours to travel between Oakland and Los Angeles by train and bus on the San Joaquin Line. How long would a similar trip have taken if the rail component of the route north of Bakersfield could have been traversed at HSR speeds? Would doubling the frequency of trains on the conventional line, or even going to hourly service, have attracted as many riders as a somewhat-faster two-seat ride (assuming there is enough equipment available to run such a schedule)? Would it have been better to spend the money that had been earmarked for the HSR project in the Central Valley to upgrade the existing railroad for a faster conventional operation? Alternatively, would it have made more sense to upgrade the Coast Line, where the Coast Starlight runs today, for faster operation? If the line could support a trip time between Los Angeles and San Francisco of 6½ to 7 hours, that would be faster and less stressful than automobile travel, and only slightly more time-consuming than air travel, considering transit to and from the airports and waiting time at the airports. Would upgrading both the Coast Line and the San Joaquin Line have constituted a more cost-effective plan than continuing with the HSR project in the Central Valley, if funds could be obtained for upgrading conventional rail lines? Advocates have started to ask these questions, and planners should be asking them, too. Engineers and cost estimators should start making calculations, as well. These answers might not help Californians now, but they might help planners, managers and advocates throughout the nation to develop a cohesive and forward-thinking policy about developing new passenger rail starts in the future. Other projects currently under consideration may not be good models for HSR demonstration projects in this country, either. They may fit that description in a technical sense, but—with the possible exception of one—the projects currently on the table generally don’t make particularly good transportation sense, which translates to low marks for cost-effectiveness. Even in the crowded Northeast Region, where Amtrak’s Northeast Corridor (NEC) is busy with Amtrak trains and regional/commuter trains operated by local transit providers, Acela Express trains are not fast enough to meet the HSR speed standards of Europe, Japan and China. There is talk of faster trains through the NEC Future process, but it remains unclear whether true HSR will be built there. The region is crowded, but that also means land acquisition is expensive, and it is far from clear that residents of the region want their land taken for any public-works project or would elect politicians who would take their land. The corridor-length projects proposed by the private sector may not accomplish the goals of a true HSR operation, either. The problem occurs when the proposed lines do not plan to take riders between two useful locations, especially for a trip without an automobile. This is true of XpressWest and Brightline, the two operations being folded into the Virgin Trains USA brand. The former would run between Las Vegas and Victorville, Calif., certainly not a destination in itself, any more than Bakersfield is. If the line could connect to Los Angeles and its transit system, through Metrolink or otherwise, it would serve a huge catchment area that a terminus in Victorville cannot provide. On the Brightline side, Orlando International Airport is not currently a great hub for destinations in the Orlando area. Disney could run a shuttle bus between the airport and its parks, but local Lynx buses do not provide great connectivity to the rest of the metropolitan area. 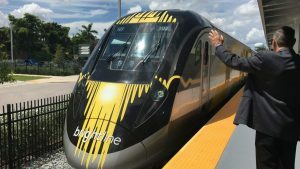 A rail connection between the airport and downtown Orlando could make a difference, but it would still mean a two-seat ride. In short, these current projects touted as HSR, whether or not they actually fit the description, are not designed for riding conveniently between two useful points. Those plans could, and should, be changed. Nevertheless, this country is not entirely ready for true HSR, because of the existing public transportation infrastructure and services offered or, more precisely, the lack of same. HSR is successful in Europe, China and Japan. So are conventional trains and transit. Even with HSR added, those places still have a robust network of conventional long-distance trains, plenty of corridors, regional rail around the cities, and lots of local transit within the cities. Much of that transit runs on rails, too, whether metropolitan-style “light rail” in the American sense, or streetcars. Simply stated, people in those places are used to taking the train to a city and using transit once they get there. High-speed rail is not revolutionary to them; it is evolutionary. They know how to get around without an automobile, and HSR offers the new alternative of a faster trip, usually for a higher fare. The U.S. is very different when it comes to public transportation infrastructure and services. There is relatively strong local transit in the Northeast, in several California cities, in Chicago. Transit is growing in the Southwest and some Rocky Mountain cities, but it is not a strong national transportation resource. The total of transit-dependent Americans and those who choose to use public transportation constitute more than just a tiny minority of Americans—but a minority, nonetheless. Most Americans think of auto and air for travel, not of trains and transit. Many see Amtrak as a carrier for a niche market, and true HSR as science fiction, if they have even heard of it. This commentary was originally written as a cautionary tale, in the fading hope that the United States could somehow embark on a policy that would promote passenger trains to the extent that we could enjoy the benefits of true high-speed rail, at least soon enough that our seniors (including this writer) could live to ride it. Then came the FRA’s bombshell and the need to update this article. It is now a requiem for the dream and the hope that this nation could enjoy high-speed rail in the foreseeable future. None of the projects that were slated to receive the original HSIPR grants a decade ago have survived. To make matters worse, the survival of even the skeletal conventional rail network that Amtrak currently operates is not assured. If non-automobile mobility itself is to survive, the current Amtrak network must not only endure for now, but passenger trains must expand significantly, in terms of both routes and frequencies on each route. Merely “saving our few trains” is not enough. Maybe someday, this country will have enough trains and transit that there will be a concerted public desire to improve the system with genuine HSR and make the commitment to pay for it. That could happen someday under the right conditions, but it will certainly not happen anytime soon. David Peter Alan has ridden the entire Amtrak system and on nearly 300 transit systems in the U.S. and Canada, but has not ridden any true high-speed rail yet. That experience is on his “bucket list” for an overseas trip someday. The opinions expressed are his own, and do not reflect those of Railway Age, or of any other individual or organization.